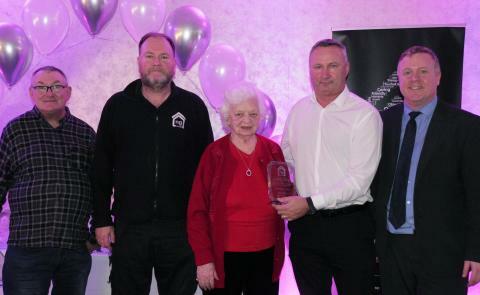 CCF Award presented to ng homes Concierge Service - John Thorburn, ng homes Chair; Arthur McGill, ng homes Concierge; Margaret Thomson, ng homes Board Member; Colin Leverage, ng homes Concierge and Property Manager; and Bob Doris MSP. Over 100 people gathered for a special event in the North Glasgow community to celebrate the work supporting the Growing and Sustaining North Glasgow’s Green Legacy project on the 21st March 2019. The celebration paid tribute to the tremendous work done by individuals, groups, schools and partner organisations in tackling climate change. The project, funded by Keep Scotland Beautiful Climate Challenge Fund, saw a range of activities being carried out across North Glasgow, including energy workshops, swap shops, furnishings and furniture redistribution, fashion shows, comic strip workshops, and a carbon counting tool too! CCF Award presented to Chancers Group Possilpark by Bob Doris MSP, Paul Sweeney MP, and John Thorburn, ng homes Chair. 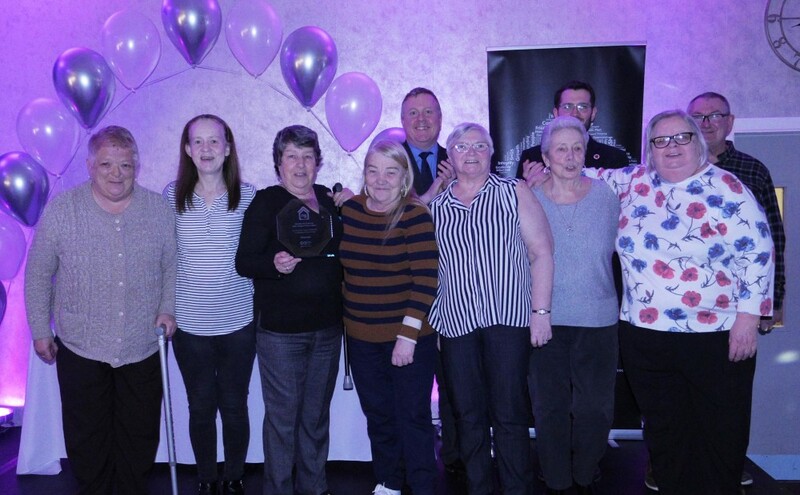 “It was a pleasure to join up with ng homes and all the amazing volunteer groups across Springburn and Possilpark for the annual Climate Challenge awards at Petershill. We only have a decade left to take action before climate change becomes irreversible, so it is encouraging that so many people in our community have already sprung into action to play their part in making the practical changes needed to our lifestyles that will preserve our planet for future generations. 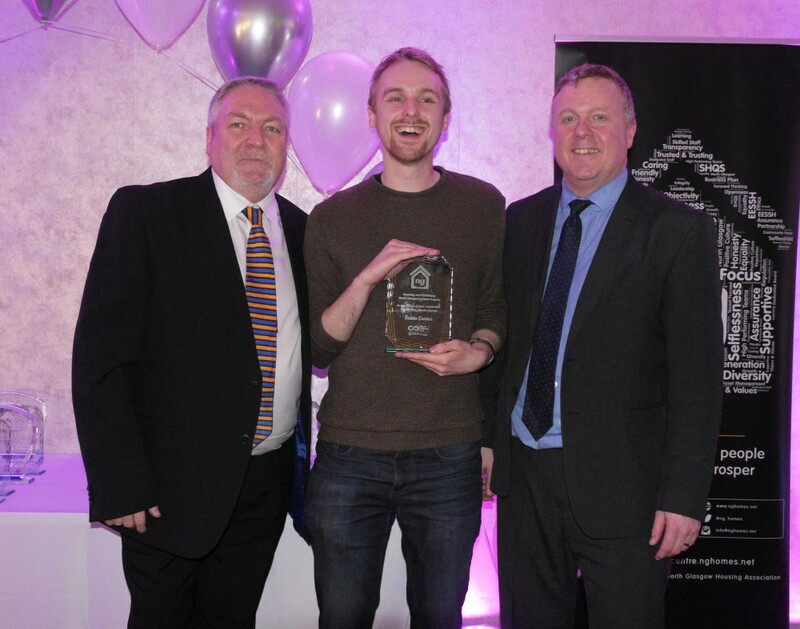 CCF Award presented to Rossie Stone of Dekko Comics by Gino Satti, ng homes Board Member and Bob Doris MSP. 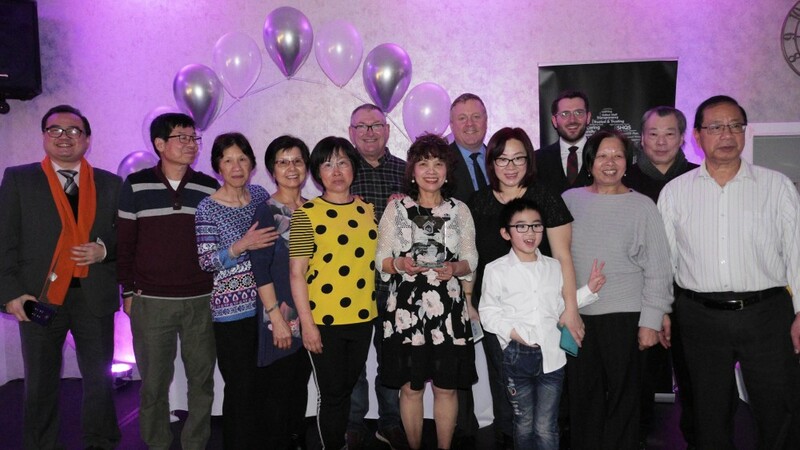 CCF Award presented to Glasgow Chinese Recreation Centre by John Thorburn, ng homes Chair, Bob Doris MSP and Paul Sweeney MP.